Happy Gal-entine’s Day! Treat yo self to these new cookies! Alright, enough with the Parks and Recreation puns. These new cookies are my newest creation for The Leftovers Club. This month I was paired with our fearless leader Elizabeth from Food Ramblings. She made me these delicious Conversation Heart Brownies with Sea Salt. They were phenomenal. So phenomenal, in fact, that people visiting my new apartment ate almost all of them. I think I bribed visitors to show up with brownies? Sorry, not sorry. Because I am literally always on the go (hence the limited posts), I used a shortcut to make these cookies. I used refrigerated cookie dough as the base. They still tasted delicious and still had homemade touches. It is fun to find shortcuts that you can still put your own personal spin on. 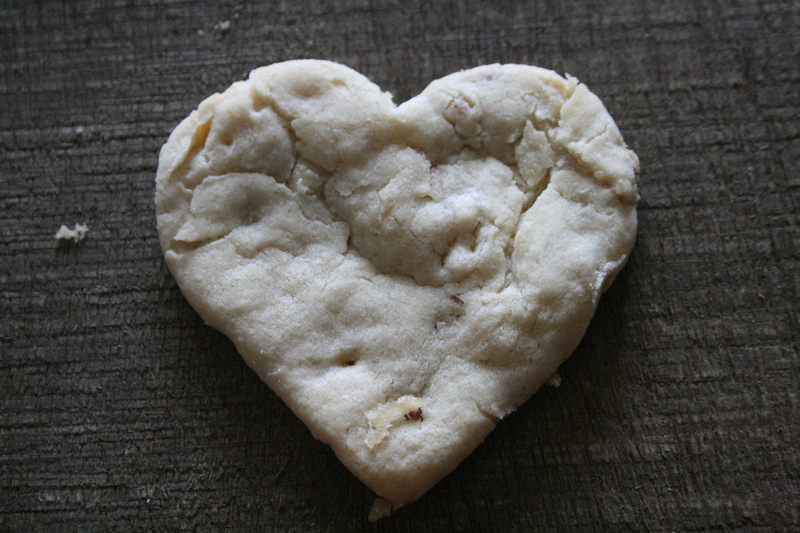 Then I cut the dough into hearts. I mean, it is Valentine’s tomorrow after all. 1. In a small skillet, heat half of the granulated sugar until it melts. Remove the sugar from the heat and stir in the pecans until they are well coated. Set aside. 2. Mix together cookie dough, the remaining sugars, and the maple syrup until well incorporated. Add in candied pecans. 3. Chill the dough in the fridge for at least an hour. 4. Pre-heat oven to 325 F. On a generously floured surface, roll out the dough. You may need to keep adding flour, as the dough gets quite sticky. Make sure you leave it kind of thick, as the thinner cookies burn quicker (which I learned the hard way). Use cookie cutters to make shapes in the dough. Transfer them to an un-greased cookie sheet. 5. Bake for 12 minutes. Let the cookies cool before you attempt to transfer them. Here’s what my friends made for The Leftovers Club this month. Make sure you check them all out! 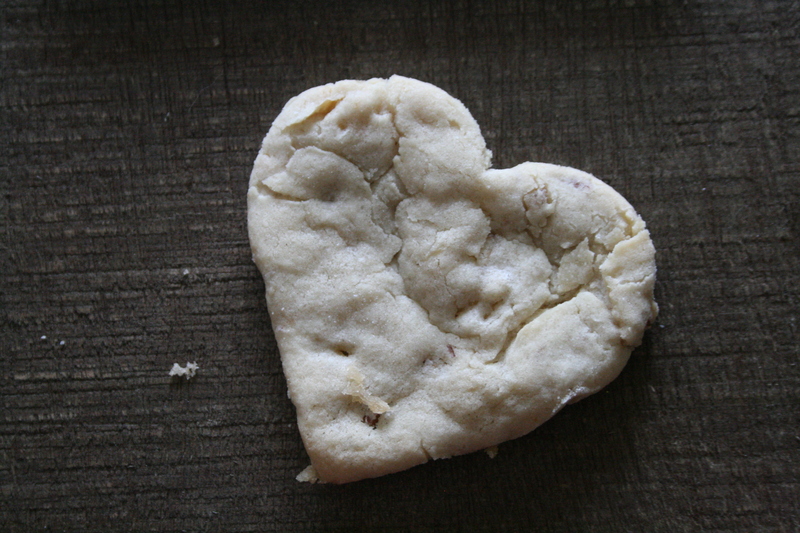 I love heart shaped cookies and these look delish! these look so cute – I love the idea of gal-entine day – sorry I didn’t hear about it until now.